I am very excited to once again have a story from this blog published. 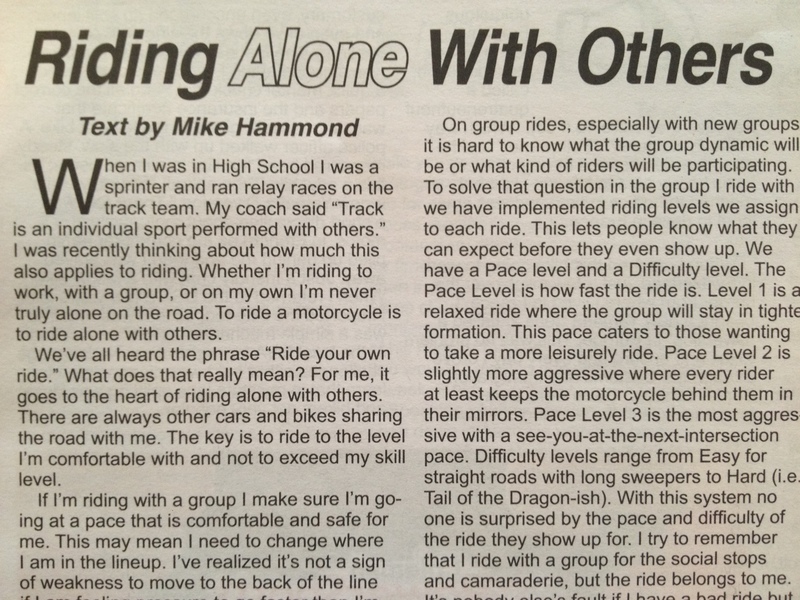 Riding Alone with Others has been included in the Sept/Oct issue of Motorcycle Times magazine. Please pick up a copy and support the magazine and their advertisers.